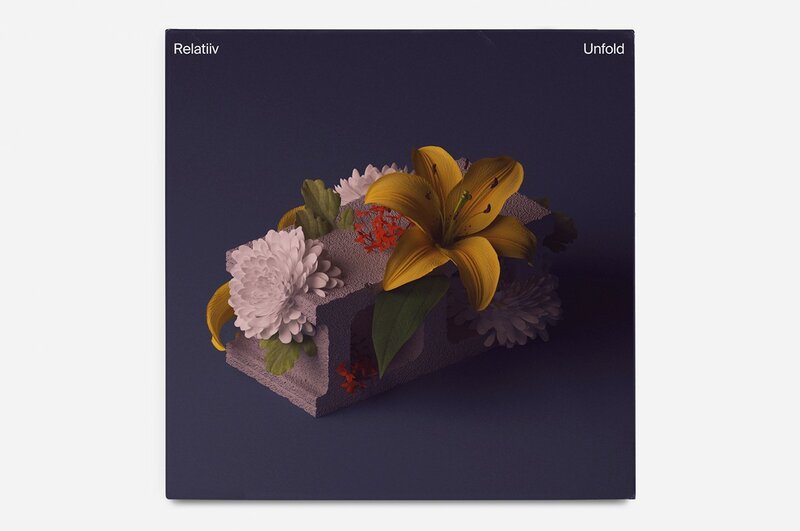 Cover artwork for Relatiiv's album Unfold. embodying a specific emotion present in the EP. Cover artwork for Relatiiv's album Unfold. The metaphor displayed portrays the logical and emotional aspects of the band's work, with each flower embodying an specific emotion present in the LP.